One of the great narrative arcs is that of the rise and fall, and while there have been morbid moments in which critics have begun to write the eulogy for Woody Allen, he continues to endure. In the last ten years Vicky Cristina Barcelona (2008) and Blue Jasmine (2013) have signalled his endurance more than any other in this period. Café Society (2016) like Midnight in Paris (2011) is a solid enough film, but is one that fails to make it into the upper echelons of the filmmaker’s oeuvre, struggling to make the enduring impression that Vicky Cristina Barcelona and Blue Jasmine have jointly made. Yet two classics and two solid comedies in the last ten years would seem to suggest he’s a filmmaker keeping up with time. It counters any concern that Allen has stepped into the shoes of a filmmaker continuing to make films because for him, it is as natural as breathing. This longevity and consistency is not without the fallibility of the storyteller’s mortal imperfection, yet that magical dramatic and comedic touch that he alternates between, even intertwining with his accustomed precision rarely ceases to expire. What thwarts Allen on occasion is the story, a poor dance partner which the dramatic and comedic is forcibly coupled with. And his accustomed skill with comedy, words and the performances he inspires from his cast magnifies that something is off when not coupled with a strong story. Although if we take the crux of Allen’s cinema as being predisposed to an interest in human nature, an inherent danger lurks in such an inclination. An interest in human nature requires thought, and not all the thoughts of the philosophically curious minds are intended to see the cold light of day. Rather they have to be filtered and on occasion Allen’s less than stellar work has been subject to this precarious pitfall. This filmmaker’s cinema could therein be contextualised as a series of chapters or volumes of thought. 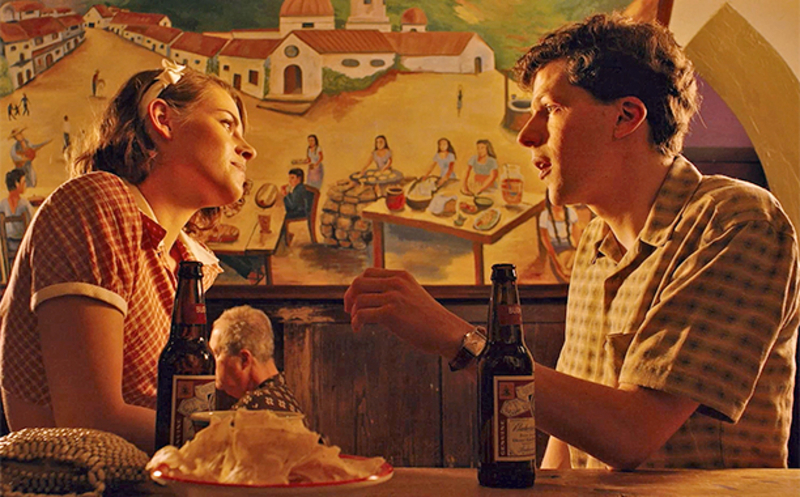 Café Society features echoes of Melinda and Melinda (2005), the split personality of comedy and tragedy, while shades of Midnight in Paris can also be detected, although Café Society’s characters are on a less claustrophobic journey. What we see here is Allen’s cinema being a type of reincarnation and eternal recurrence, but one in which like with Melinda and Melinda, the end result is not determined, only the thematic nature of the story itself is reminiscent of a recurring past life. Allen is a storyteller shaped through or influenced not only by cinema and notable filmmakers, the like of Ingmar Bergman, but also stand-up comedy and the literary. Café Society reveals the combination of these two influences. There is more than one scene that could almost be a skit out of vaudeville – the early scene with Bobby and the Call Girl that has a succinct comedic arc, witty dialogue and playful performances. While a link in the chain of a longer narrative it has the air of independence, stealing a moment for itself. Meanwhile the opening voiceover narration is an offshoot of the literary influence. Film is external in nature unlike the literary form which allows us to enter the mind of the character. The voiceover narration here is a variation on the literary compared to his use of voiceover in other films, including his previous film Irrational Man (2015), which was a purer form of this literary influence – the characters speaking directly to we the spectators, as opposed to a narrator. And then let us take it one step further and address how Alien is heavily influenced by music, as well as the cultural and social, both past and present, of which Café Society is a case in point. It plays tribute to Jazz, Hollywood and high class nightclub life in the first part of the twentieth century. Yet how else can we perceive Allen’s cinema other than in musical terms. There is the rhythm of the scenes, exchange of dialogue, character interaction and the way in which the pictorial and music relate to one another. The impression Café Society offers is of that swift and self-assured feel of a conductor that has absolute confidence in the score and orchestra, but in hindsight this could be an element of bravado in this instance. At the sight of the title sequence, the all too familiar white font on black background, the heart almost skips a beat. It is a skip that always comes with a hint of apprehension until we are sure of whitch Woody Allen will be in the company of. While Bobby and Vonnie are the heart of the film, they are two characters that in truth struggle to live beyond the incarnation of an idea or rumination on human nature. 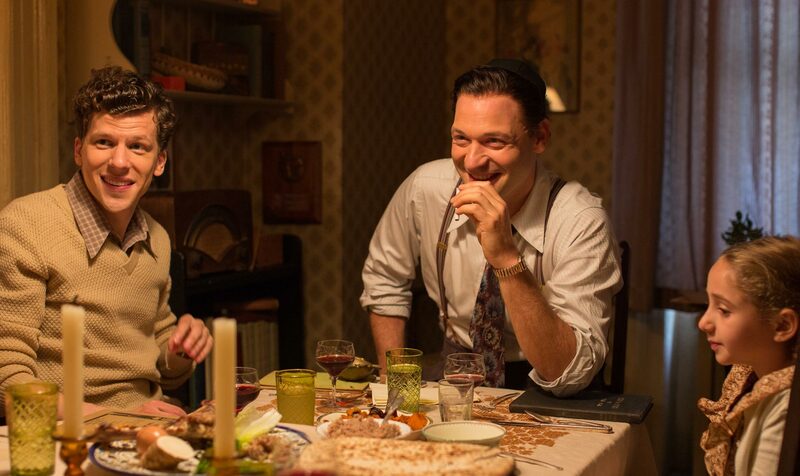 Rather it is Bobby’s bickering parents Rose (Jeannie Berlin) and Marty (Ken Stott), mobster brother Ben (Corey Stoll), sister Evelyn (Sari Lennick) and philosopher brother-in-law Leonard (Stephen Kunken) that form the fondest memory of the experience. Unlike the love torn leads Bobby’s siblings and parents have a charm that endures beyond the credits, leaving one to feel that with Bobby and Vonnie, the life lost could have been decidedly more interesting. Slowly their waning charm taints any enthusiasm for a possible second encounter, in which a collision can be detected. While Café Society offers a pleasant and enjoyable experience in the moment, it remains a film that highlights the conflict between the actuality of the experience versus the intellectual and emotional reasoning that inevitably follows the experience. Café Society is available to own on Blu-Ray and DVD in the UK courtesy of Warner Home Video.